So you’ve determined that you want to purchase some stock but have no idea what makes a company worthy of your investment. How do you choose among thousands of companies that are listed on the New York Stock Exchange alone? Well, rest assured, with these simple brainstorming tactics, you’ll at least have a place to start. There is no single stock that is a good investment. Many companies have strong fundamental qualities that make them a good investment. By using these tactics below, you’ll not only know how to find stocks to invest in; but, you’ll be able to hopefully uncover one that speaks to you and gets you excited to invest. What Are Products or Services You Can’t Live Without? What do I use every single day? What do I look forward to everyday? What is something that I use more today than I did before? What are places I go to regularly? What are places I go to more often than I did before? By asking yourself these simple questions, you will discover that behind that product or service is a company that has ingrained itself in your life. That means it is at least successful in keeping you as an eager customer. Now that’s a good place to start. Your friends and family offer a unique perspective that you may not have considered. Let’s say, you work in hotel services but you have a friend that works in medicine. Can you see the different perspective he/she may have? Your friend that works in medicine will be able to tell you about new equipment they use or advancing technology in the health sector. These may be things you have no idea about but once explained to you seem like an opportunity just waiting to be explored. 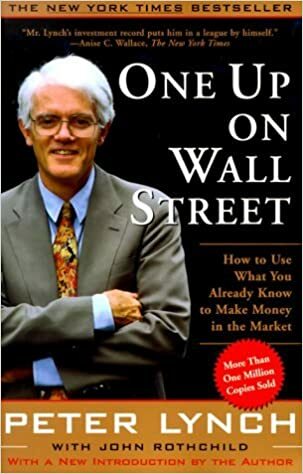 I read a book by Peter Lynch who is a famous mutual fund manager that has a net worth around $350 million dollars. He said that in the 1980s he asked his wife what around her seemed like it was blowing up and getting really big. She said there are pantyhose that come in the shape of eggs being sold in all grocery stores and that they are really convenient. He asked her if she bought some and she said that she frequently buys them. He then looked up what company owned them and found out it belonged to Haynes (the company that makes underwear). He decided to invest in them and his investment ended up yielding him more then 6 times his investment. After reading this, I decided to give it a shot. I asked my wife if there was a company that was growing a lot that she knew about and that she really liked. She said that she liked Lululemon which was a sports wear company that specialized in yoga style workout clothing. I researched it a little and decided to give it a shot. It tripled in price in only a year and a half. Currently it dropped down but is starting to climb again and is still worth double what I invested. What Jives with Your Core Beliefs? We all want to invest in companies that we believe in. Sometimes one of the easiest ways to do this is to first think of what we believe in and then match that with companies that fit! For example, maybe you believe in protecting animals. I just typed in google “companies to invest in that protect animals” and found an article about 3 animal healthcare companies to invest in. It’s really that easy sometimes. I Found a Company. How Do I Know If It’s Good? Financials – Are they making profits or losses each year and in which direction are they trending? Demand – How much is their product or service being bought or utilized? Is it growing or losing traction from year to year? News and Headlines – What is the overall sentiment for the company you’re interested in? Who works on the board? Do you believe in the top executives’ vision for the company? The above list is just the surface of what’s called fundamental analysis. Fundamental analysis is one of the most common ways for investors to determine the value of a company. If they feel like the company is undervalued for the stock price and believe the stock will rise, they will purchase it. I’ll go into more details regarding fundamental analysis i another article. There are many ways to determine what’s out there to invest in. Choosing what to invest in is a personal choice. There are many services that pride themselves with providing customers with stocks that meet their criteria as good buys. Motley Fool is one such company. I’ve actually had a lot of success with them in the past. You don’t need a service though. You just need to use some methods above to identify companies and then determine if you think they will be a good investment based on some fundamental analysis. Also, if you feel like choosing individual stocks is too much work and want an easier approach, you can invest in ETF’s or Mutual Funds which are portfolios made up of many stocks to ensure that your investment is diversified. Confused about ETFs and Mutual Funds? Read my article on ETFs vs Mutual Funds. If you have any questions or comments about this article, please feel free to leave them below. I’d love to hear your thoughts! Also, if someone you know could benefit from this article, please share it with them! And once again, let’s start investing! Its best to do all the research you possibly can when trying to invest your hard earned money into a company. What I did when i first started was finding companies that did something that I was a part of. For example, I like to play video games, so I put my money towards Sony, EA, etc. and so on. Once you do it that way you’ll learn more about how it all works and sooner than later you won’t care about trivial stuff. Definitely true! The more connected you are to a company, the more you understand it. If you understand it, you can see if the company is on the right track each time you reevaluate it. Sometimes people get too close to a company and whe. The stock price drops, they are emotionally involved with the company and stay with it longer than they should. Being familiar with a company is good. getting attached is not. Make sure you can differentiate between the two. Hi Eric, you raise excellent points here and have given me a different way of thinking about stocks to choose. Specifically around speaking to family and friends about what they are noticing. It seems like a no-brainer, but I had only ever thought about this academically before. Eg. research the company, values, sentiment, quality of board members etc. Your example of Lululemon brought that point home well. What do people want to pick up and purchase, and how does it make them feel? Does that extend to a bigger circle of people? And is it something they are seeing more of than before? Those are really smart questions to consider Eric and I thank you for giving me another perspective. Thank you for taking the time to comment. I’m glad you found value with this article. Those are also great questions that can be added when choosing stocks. Thanks for adding them to the discussion! For the past six months I have been doing research on stocks to invest in but am yet to see what I really want. Luckily for me I came across this post and it has really helped me to discover how to find good stock to invest in. Now I have discover a stock am going to invest in. Thanks for this post, it is an impact in my life. I will share this information for my friends to benefit. Great article. I’ve thought for years about investing in the stock market but didn’t know where to start or how to evaluate which stocks to buy. Like many people I’m only really aware of those stocks we always hear about. The DJI stocks and other really big ones. I think I’ll use your method, pick out some stocks, follow them for a month or two and then maybe finally invest. Thanks for the info. Good idea. If you’re ever unsure about starting with the stock market, you could also paper trade. Many brokers have free platforms known as paper trading so that you can use fake money to invest before jumping in. This way you can still identify a few stocks like you said, and then actually see how they perform for you before you put real money into the market.